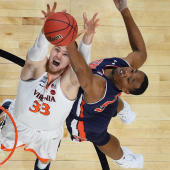 MARTIN, Tenn. (AP) Preston Parks had a season-high 26 points as UT Martin defeated Southeast Missouri 81-72 on Thursday night. Parks shot 5 for 7 on 3-pointers. He added six rebounds. Delfincko Bogan had 17 points for UT Martin (9-15, 4-9 Ohio Valley Conference), which earned its fourth consecutive home victory. Craig Randall added 16 points and seven assists. He also had seven turnovers. Gabe McGlothan had 21 points for the Redhawks (8-18, 3-10). Ledarrius Brewer added 10 points. The Skyhawks evened the season series against the Redhawks with the win. Southeast Missouri defeated UT Martin 74-69 on Jan. 5. UT Martin faces Southern Illinois-Edwardsville on the road on Saturday. Southeast Missouri plays Eastern Illinois on the road on Saturday.